If we were all to recognize that growing is more important than reaching perfection, we would all feel a lot better about ourselves and others too. 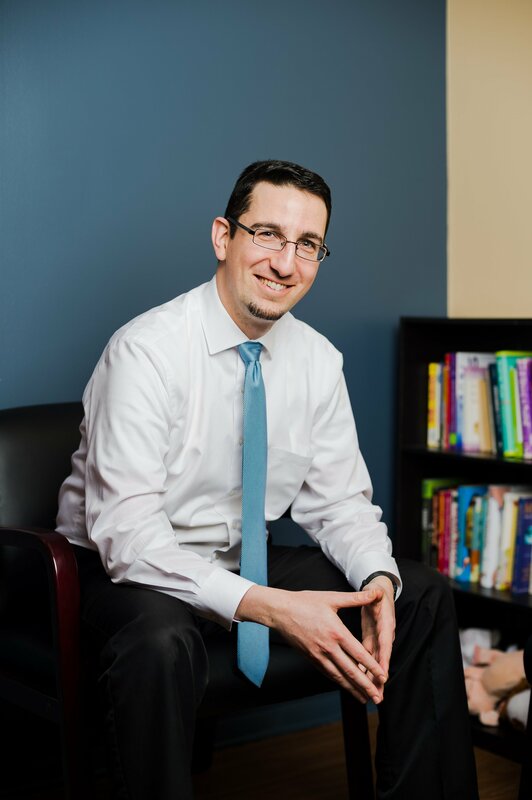 I had the pleasure of interviewing Raffi Bilek, LSCW-C. Raffi is the director of the Baltimore Therapy Center, a relationships-based counseling practice where they primarily serve couples and families seeking to shore up their relationships. Raffi also speaks on the topic of healthy relationships, marriage, workplace interactions, and more. His passion is helping people connect with others in a way that works. I was actually a computer science major before I got into working with people. I did and still do find programming fun and deeply interesting, but eventually I started getting a little antsy working with computers all day. They just don’t laugh at my jokes the same way humans do! It was a bit depressing. The year after I graduated college I took a job teaching computers to little kids. That’s what sort of brought home to me that working with people is really what I needed to be doing — where talking to people was the work, instead of it being the thing you do at the water cooler when you’re not doing work. So eventually I applied to social work school, where they were amused/intrigued by my techie background. But I guess I’m social enough that I made the cut! Most families come with difficult dynamics somewhere in the system. Few families are fortunate enough that all the myriad relationships they comprise are smooth all the time. So if you feel stressed around holiday time because of the family gatherings coming up, you’re probably normal. Where a relationship becomes unhealthy is when it affects your whole person or your whole year. If Mom’s criticism about your weight irritates you, that might make for a difficult Thanksgiving. But if her words make you feel bad about yourself in general, and your overall self-esteem is suffering, this is bad news. A stray comment by a sibling that you’re unhappy with is probably commonplace. But if they are calling you throughout the year to guilt you about something you’re doing, that could be unhealthy. Unhealthy relationships often have an imbalance of power. Mom’s criticisms position her as the authority over your choices; sib’s guilt trips are an attempt to control you from a different angle. Often this kind of power differential lies at the heart of problematic relationships, and can even constitute abuse. It’s important to recognize the value of firm and appropriate boundaries in family relationships. Most people want to be on good terms with their family members, and certainly we should all make the best efforts we can to make these relationships work. But when this is not possible, it’s vital to acknowledge that and respond appropriately. The relatives that care about your wellness are obviously much easier to handle. They’re the ones we like to catch up with when the family gets together, who are respectful of our personal boundaries, who encourage rather than judge us. Asking how they’ve been, sharing pieces of your life you’re comfortable talking about, and connecting over shared interests are great ways to keep this bond alive. But the relatives that are trigger-trippers, well, it’s wise to keep an appropriate distance, whether physical or emotional. Don’t open yourself up to attack by sharing personal information with someone you know to be untrustworthy. Don’t get drawn into conversations you know are going to push your buttons. Instead, plan ahead with neutral topics you can bring up for conversation (i.e., stay away from politics! ), and be prepared to excuse yourself when they start ruffling your feathers. It is in everyone’s interest for family members to get along, even if it’s only superficially, while all are gathered together. I think when people refer to a toxic family or relationship, they simply mean that it is both unpleasant and unhealthy to an extreme degree. Dealing with family members that are that difficult is challenging for anyone. Sometimes avoidance is the easiest path, but that may not always be possible. Even when not, it is probably wise to minimize the time you have to spend with them, and if you are going to find yourself at the same family event plan to be cordial but keep a distance. When you know you are going to have to interact with these difficult relatives, again, it is crucial to think about and establish your boundaries before engaging with them. What kind of behaviors and situations will you accept and what will you not? Are you willing to listen to Aunt Bertie criticize the way you dress as she always does? If not, how will you react when she does? Are you going to sit and listen when Grandpa starts telling sexist jokes? How will you respond? You need to be prepared to respond in the way that works for you. If you feel you can ignore the behavior and carry on, that’s a fine option. Or you may choose to speak up — politely, but firmly — and express your discomfort with or offense at what’s going on. Or the best thing might just be to leave the room. You may not be able to change Aunt Bertie, but that doesn’t mean you have to suffer silently through her treatment of you. I once worked with a couple — let’s call them Dave and Bonnie — where Bonnie’s mother was a real stressor for them. She was demanding, critical, inflexible — the very picture of the awful mother-in-law. She would regularly bring Bonnie to tears trying to maintain the relationship while also living her own life. Any time Bonnie tried to protect herself and her family from Mom’s onslaughts, Mom would launch an enormous guilt trip about how Bonnie didn’t love her. It was brutal. 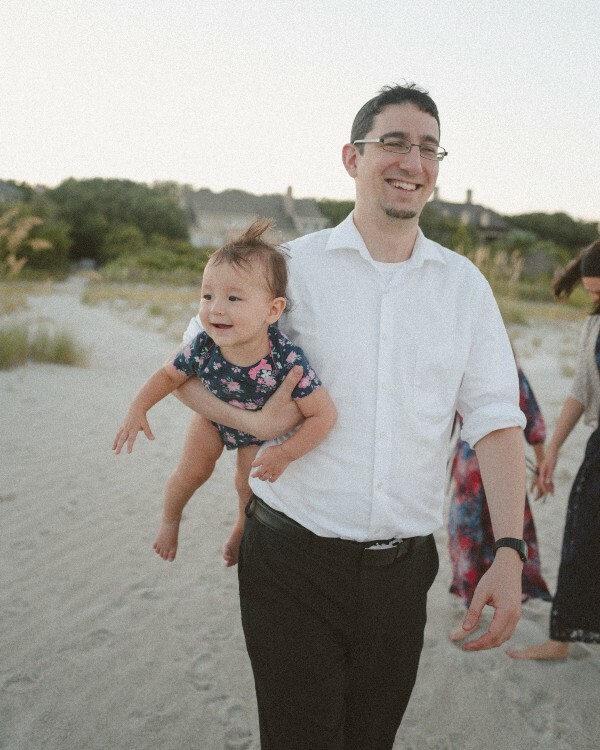 I met with Dave and Bonnie several times over a span of months to help them establish and keep the right perspective, namely, that they have the right to their own lives and are not required to subjugate themselves to Mom’s whims and demands. Together we decided on what kinds of behaviors they were prepared to accept from her, what they were willing to overlook, and what they would simply not tolerate. For example, they would smile and nod when she gave unsolicited parenting advice or comment about their messy house. But they would not allow her to put Dave down to Bonnie or to the children. They would stop her in her tracks if she went down that road, and give one warning. If she repeated the offense, they would leave her house or ask her to leave theirs. After not a few attempts at sticking to these new boundaries, they eventually started to feel more empowered and more comfortable with the process. Mom hasn’t changed a whit, but they both feel far more in control of the situation than they did previously. Expect the expected. If Uncle Bill is intrusive and inappropriate every year, don’t hold your breath for this year to be different. Knowing that it’s coming can make it easier to bear. Holding out hope for miraculous changes is likely to breed disappointment. Plan ahead. Another benefit of knowing what to expect is that you can plan what you’re going to do. You don’t need to be caught off guard by Uncle Bill. You can be ready with an exit strategy as needed. Remind yourself that this won’t last forever. In most circumstances, you can survive one night with your family. You’ll be out of there soon enough. Don’t let a bad night take over the rest of your year. Find a way to recharge. Meditation is a great way to calm down for many people, and it’s easy enough to do in a room by yourself for five minutes. Other ideas include taking a break to watch a funny video, taking a walk alone or with your partner, and playing some favorite music. Having a release valve for the pressure that can build up during family time is a good way to make sure you don’t blow your lid. Make sure they know you’re there for them — if you don’t explicitly lend your support, they may not feel comfortable approaching you. The best thing you can offer to a friend or family member with a mental illness is your support and understanding. You probably can’t solve their problem, but knowing you care and are by their side counts for a lot. “Practice makes progress.” We all grew up hearing that “practice makes perfect,” but that simply isn’t true — nobody ever reaches perfect! Many people cause themselves too much misery by holding themselves to a standard of perfection and falling short. You can find me at www.facebook.com/BaltimoreTherapyCenter and @ThingsCanBeDiff on Twitter.